Superior Remodelers offers a wide range of energy-efficient windows and doors from Pella, a distinguished manufacturer which has been in existence since 1925. Choosing cutting edge-products from Pella is one of the best decisions you can make as a residential or commercial property owner. It doesn't really matter in which part of the country you live; when you opt for these modern windows and doors, you'll enjoy many benefits that you won't get from conventional products. Pella's unique technologies offer exceptional energy performance and a number of other important qualities. Advanced Low-E – Ideal for most climate types and blocks between 84% and 86% of the sun's ultraviolet (UV) rays. This is a very popular choice among home and business property owners. Advanced Comfort Low-E – Recommended for Northern U.S. locations, it filters between 85% and 87% of UV rays. It delivers balance insulation for both colder winters and mild summers. SunDefense Low-E – Designed for hot and sunny climates, it effectively blocks between 94% and 95% of UV rays from the sun. It allows visible light to penetrate through the window and provides a clear view without letting in too much heat from the sun. NaturalSun Low-E – Blocks only between 69% and 73% of the sun's UV rays, thus allowing the sun's heat to create warmer home and building interiors. It also provides excellent insulation from the cold, making it ideal for extremely cold climates. Pella's insulated glass is also available in other options that address specific needs, including impact resistance, privacy, sun protection, noise reduction, and security. HurricaneShield – This product is made with an exceptionally robust polymer interlayer that holds the glass together if shattered, making it the proper window glass to use in areas usually threatened by hurricanes and flying debris. Obscure insulating glass – This glass type is best used in environments that require privacy. The textured surface lets natural light shine in while obscuring the view from the outside. Tinted insulating glass – Helps control the glare of the sun. Laminated insulating glass – Not only does the product reduce noise from around the neighborhood, it also adds an additional layer of protection from intruders by having a polymer interlayer that keeps the glass together if it is smashed. Tempered insulating glass – A toughened glass type comparable to those used in automobile windows. When broken, this glass usually shatters into small square fragments instead of sharp shards, making it a safer option than conventional glass. 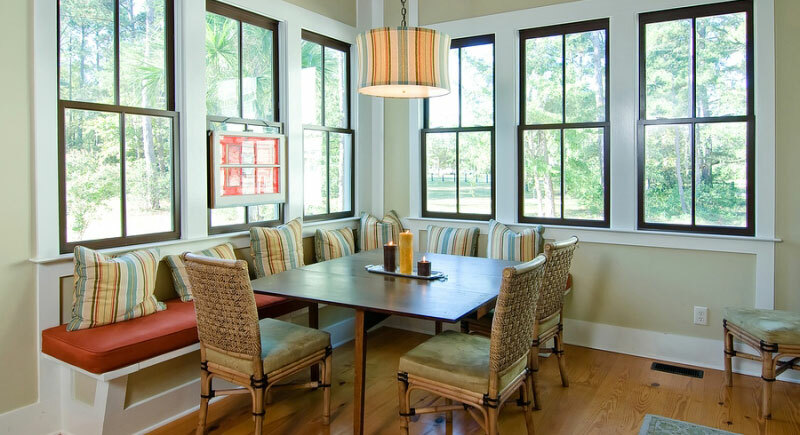 Please call us today at 888-330-8148 or contact us using this form if you are interested in installing Pella windows and doors in your home or business property.